According to a survey by Virgin Atlantic, the back-packs of Indian students enrolled in foreign universities are stuffed with Maggie noodles,pickles and mangoes. Ready to pay excess baggage fee, students are willing to leave books and clothes behind. Other favorites include jaggery, bhujias, mathri and ghee. One creative soul insisted on carrying the traditional broom. What a broom can, a vacuum cleaner cannot. And old habits die hard. I remember, when I went to live in a hostel for my graduation, my mother insisted on packing umpteen boxes of home made savories. When the mess food was despicable, which was a norm, my mom's home made delicacies were saviours. Decades later, nothing has changed. My son has similar issues. On the day of his departure, the house is engulfed in a mist of emotions. As the packing commences, the emotional mist thickens. The father, in a somber mood finds solace in mellifluous Rafi or a voluminous book. The grandmother finds refuge in the kitchen. For my mother, emotional connect is directly proportional to the time spent in the kitchen. But honestly, kitchen is not my favorite place. So I take charge of packing the food items and making space for the same in his backpack. Space being inadequate, a silent altercation ensues. For the young man, gizmos, wires and books are on a higher pedestal. Naturally space for all the food stuff is limited. But ‘ma ki mamta’ is limitless. He refuses to carry eatables while I insist on packing as much as possible. Both of us stick to stated positions. The tension escalates. A firm voice of his father breaks the impasse. “Take all that your mother has packed. Throw it if you cannot eat it.” End of the discussion. Poor boy shoves all the cookies, snacks and savories the cost of his favorite clothes and gadgets. Three days later I receive a call from the young man after dinner. The fact that a few hungry souls had their fill gave me some solace. After the call , like any other mother, I found my dinner insipid. However, the following day I came to know that the boys had raided the college canteen that night and enjoyed hot aloo parathas around midnight. So if your child is going abroad, where chances of hogging aloo parathas at midnight are bleak, then all the ready-to-eat packets and bhujias make sense. The broom makes sense too. After all one does need familiar things away from home. wow! what a sweet coincidence, I too posted on 'maa ki mamta' today! its true...moms..delicacies.. and home packed food.. BUT...US has everything ...in indian grocery stores..very reasonable..n best quality..hard to find..even in india...all best things are marketed outside india..
there are ladies who make fresh food everday for hostel kids n bachelors ..you can pick it up..or even they deliver too..
Usually we end up ..leaving stuff on airport ..during checking ...its very strict! :) hahahahaha.....we used to eat maggi at 2:00am and cook rice with just salt and red chilli powder!!!! those were the days. That's beautifully written , My mother always says , 'Pack your bag beta' , For how long i am going to do this for you . Seriously , she keeps telling this thing lies in this pocket and this in the other . I also remember calling her back every time to ask it again. I know I am very lazy and not responsible at times but I love to see that look on my mother's face when I am about to leave and she gives me my bag. My Maa's pyaar oozes out in the delicacies she insists on plying me with, every time I visit her. And I dread it! Whenever mumma is on a hunt in market insted of utilizing oven for food we put maggi on fire. But sometimes lazy me chew it direct from the packet. I agree about familiar things to accompany those leaving home. It is the same story in every house... reading this was like revisiting the past..
been there, done that. engg colg hostel , away from home, home made food, frends raiding the stuff the moment u step inside! @AS..Will read your post now.Great minds think alike.What say? @Shobhit...If one is in a metro then food is not an issue but in places like Pilani, Suratkal where the campus is isolated food becomes a causality. @Harman...True. But those leaving shores for the first time want to be sure and carry all the stuff they imagine they wont find. Like you all Maggie was Godsend for me even two decades ago..but at the last moment some friend would come and we had to share that precious one pack. @Ashish...Awww...I can absolutely identify with ur mom. @Purba....Girls somehow manage a palatable meal but boys are absolutely clueless and helpless when mess food is unpalatable. @Prateek...Uncooked maggie? The cuppa noodles can be eaten but the packet ones? @Zephyr...You again sensed where this post was coming from.It is amazing how you interpret my posts and sense exactly what I am trying to say. The older one must be joking. Loved the title. I am sure not many will fail to notice mamta in paranthesis, kind of Maa (ki mamta), Maggie and Mangoes! Awwww! Cho cute! I have never been to a hostel. And, I don't think that I would have survived in one either. For a very simple reason, that, I am a very picky eater. I would have starved to death! But I know, that Shayon used to take a couple of stuffs whenever he was to go back from home to hostel. And, I remember buying him stuff to eat and to take back to the hostel, even when he used to come and meet me! YESSS i rememebr the hostel days .. sunday parents would come to meet there kids .. and everyone would wait for them to leave .. THEN it was like what have u got what have u got ..
We use to have (i dont know the english name ) Pinniyaan, Bisuits, Dry fruits , MAthiyaan lots of things .. and they would jsut finish off .. @Sh@s....Regular supply is a great idea...alas! @Umashankar...You are right, more than maggie and mangoes this post was borne out of mamta. @AAD...ha ha...jhadoo made you nostalgic? Must be missing home terribly. @Sakshi...He sure is lucky to have you. Sakshi, if one is in a metro then food is not an issue but in places like Pilani, Suratkal where the campus is isolated food becomes a causality. @Bikram...Mathri, besan ladoo, and yes pinniya...and of course mangoes. But they are very strict at the airports these days..
@Cloudnine...Hostel life is a great learning experience.Girls somehow manage a palatable meal but boys are absolutely clueless and helpless when mess food is unpalatable. Hope your stays in a metro or a big city where food is not an issue. That is a common story, but in our cases before we dialed that blessed number of the heaven on earth, we rummaged through every room in the hostel for that savoured 'Ghar ka khaana', because there are always a few who save supplies behind closed doors for times when others would be on a prowl, scavenging for such delicacy and they'd be just enjoying the moment in their closed rooms. Still my mother compels me to take pickle with me to Bangalore when I leave my home. Now i have food from hotels and i cannot take a big tin of pickles in there. @Venkatesh...:) I have had so much maggie in hostel that I hate it now. @stnomad..Depends on where you are, in metros food is not an issue but in far off campuses it is a problem. @Anshul...haan, it is the same story...in metros food is not an issue but in far off campuses it is a problem. The importance of Maggi in life of an average student is definitely understated. My hostel days in Mumbai ended with an awesome Maggie with Bread. I still remember the yummy Indian style maggie with masala, tomato and veggies thrown in! this was a lovely read. 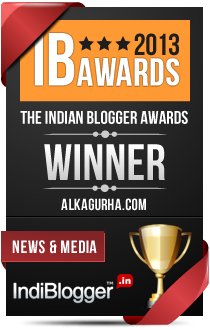 first time to your blog, came through indiblogger. That's all too familiar a situation! My mom is very insistent on dry fruits and khakras...And she has some fixation for methi-parathas,no doubt they are the best,but still every bag has it's limits! @Mayank....Yum...that sounds interesting. Maggie with bread, unusual combo. When hunger strikes sab chalta hai. @Satish....I am glad you could relate to the post. @jyaendrasharan...Will visit your blog now. @Life Ordinary....No I am in Gurgaon, son At BITS. @Indias no 1 blog...I guess Maggie should give me some moolah for advertising. yup those days..every strand of maggie and every morsel of food was precious. What's interesting is that this nostalgia cuts across generations.I've heard similar stories from folks in their 50's 40's 30's alike ! I guess there is a common noodle that ties us all ! beautiful post and Maggie is important part in life of every Indian student. Awww. Students. Me included since my hostel days are still going on. I have rarely ever packed food into my bags. But I remember getting really happy every time I would get a care package from home, full of my favorite stuff. Sigh. Such happiness. @Suruchi...Dear, behti ganga ka inspiration and source aap hi hai. I guess the students try to play safe when they carry maggie.And Maggie is for emergency hunger pangs which strike students at the middle of the night. @Suruchi ...Typo..In the middle of the night..Abhi English teacher se daat par jaati. @Juxtaposition..Yuck that tasteless dal still creates a nauseating feeling but those were golden years...food or no food. Ditto. My mother would so much want to meet you and share her bit of the story- which is pretty much on the same lines. To make it better is the line she threw at me everytime I came back, " You have gotten thin"- not knowing how untrue it was for the rest of the world :)))). I have practically been out of home since 1998 and even though I know things age, but- my mother's enthusiasm for packing those homemade delicacies and my father's anxiety to make sure that I am on time for the train- seems to defy that. Ha ha .... I like that "friends finished everything"...... the same story everywhere. Factual. Reminds me of my days away from home. Nothing can beat ghar ka khaana and Maggi is always a savior. A post filled with warmth. And, I miss broom here as everything else is available in Indian stores closeby. Flights to Maa reasonable low cost air tickets. As city is well-liked in concert of the foremost active town of Bharat may be a utile town. It includes persons from Bangalore, urban center and city additionally from everywhere Bharat.